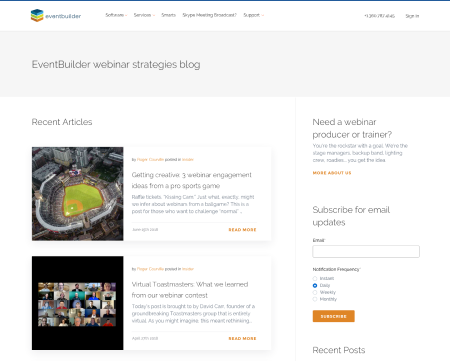 How do I generate leads with webinars? 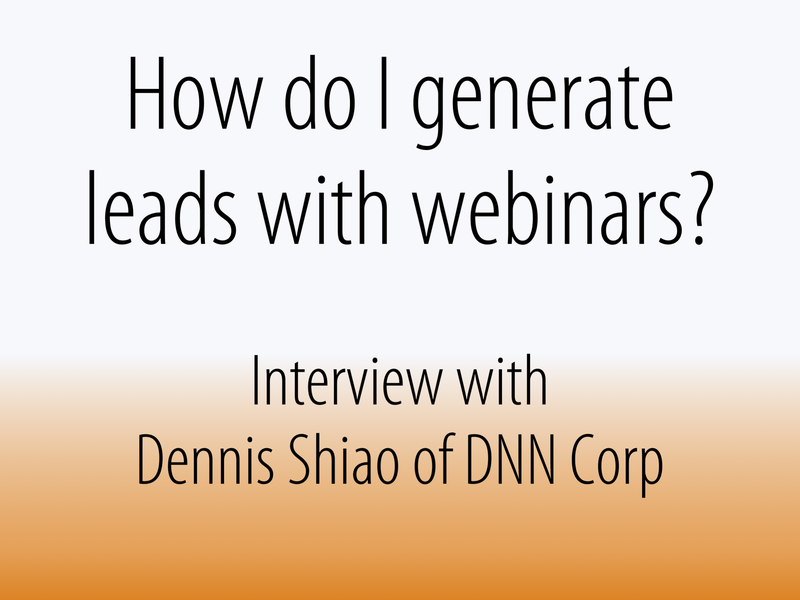 Interview with expert Dennis Shiao of DNN Corp.
Webinar computer crash in front of 1000 people -- now what? You’re in front of 1000 people doing a live demo. Your computer takes the proverbial dump. Now what? 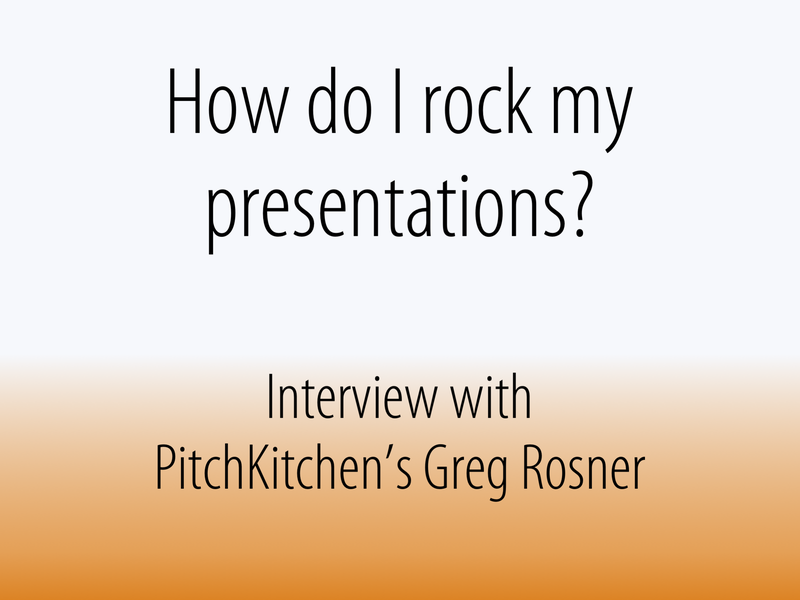 What happens when two presentation experts interview each other back to back? 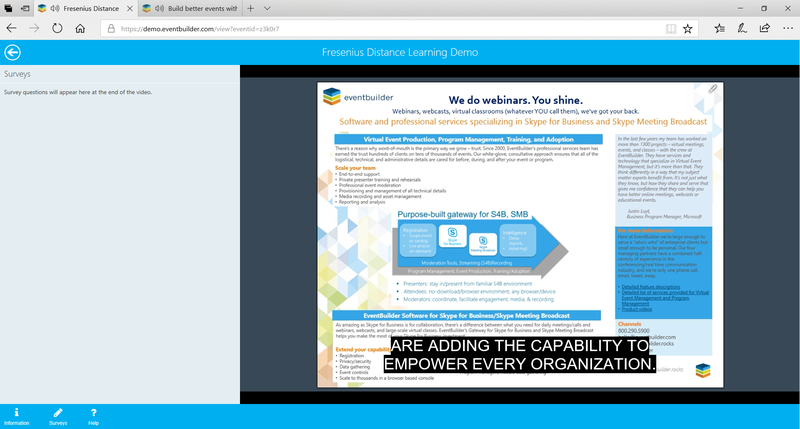 Closed captioning (CC) is the process of displaying text during your webinar or webcast to assist understanding and interpretation of what the presenter(s) is saying. It has been in use for decades in the world of television, but is not available for users of most webinar/webcast/online meeting technologies. When part of your audience is in-person, and part of them are remote, how do you engage everyone? And what if one of the devices involved is Microsoft’s Surface Hub? 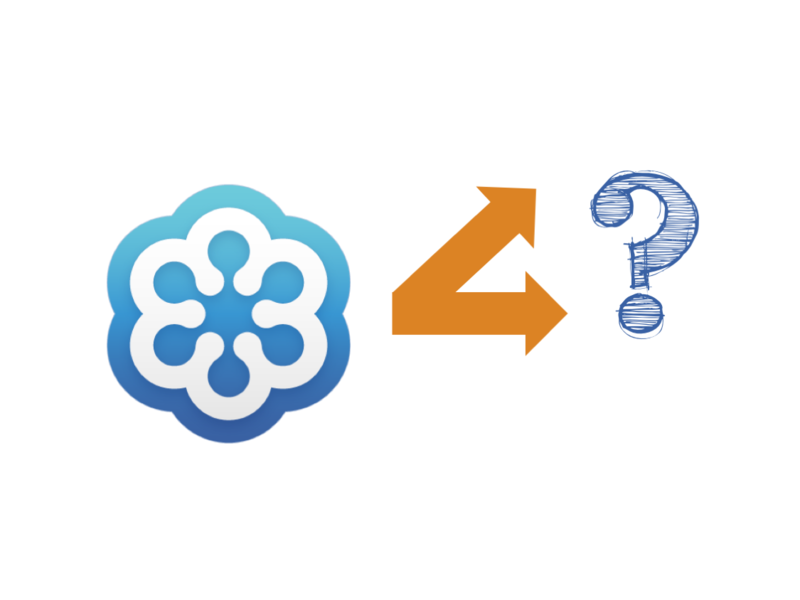 If Skype for Business gets folded into Teams, what does that mean for webinars and webcasts? It’s been a rumor for the last few days, but this week at Ignite the announcement came: at some point in the future Skype for Business is going to get sucked up into Teams. This is probably both good and bad news for you depending on where you sit. Is there a shift coming in GoToWebinar’s value equation? As markets mature, differentiation is increasingly found in the smaller details…and those smaller details often have an impact of significant proportion. There’s a time and a place for lecture or broadcast for communicating information, but we also know that they can be lower-efficacy means of adult learning. So what do you do when you are very much concerned for the learning outcomes of your audience?